6th Gen Intel® Core™ processors set a new standard with new, sleek designs that are thinner than ever, are capable of starting in about half a second1, and offer up to two and a half times the performance and triple the battery life2 when compared to the computers many people currently own. 6th Gen Intel Core processors have been optimized to best run Windows* 10, enabling new experiences, removing computing pain points and providing more secure computing. 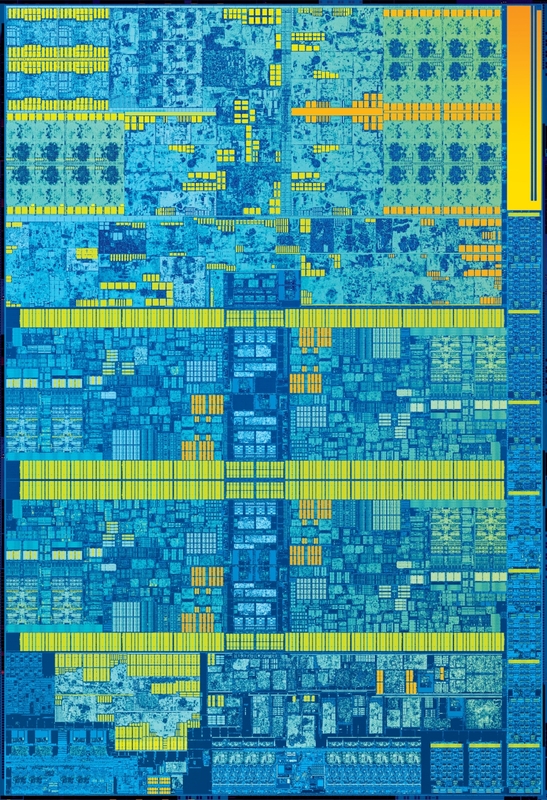 6th Gen Intel Core processor family is the most scalable ever for consumers and businesses, enabling the broadest range of designs from the smallest Intel® Compute Stick and All-in-One desktops, to 2 in 1s, notebooks and the first-ever Intel® Xeon® processor for mobile workstations. 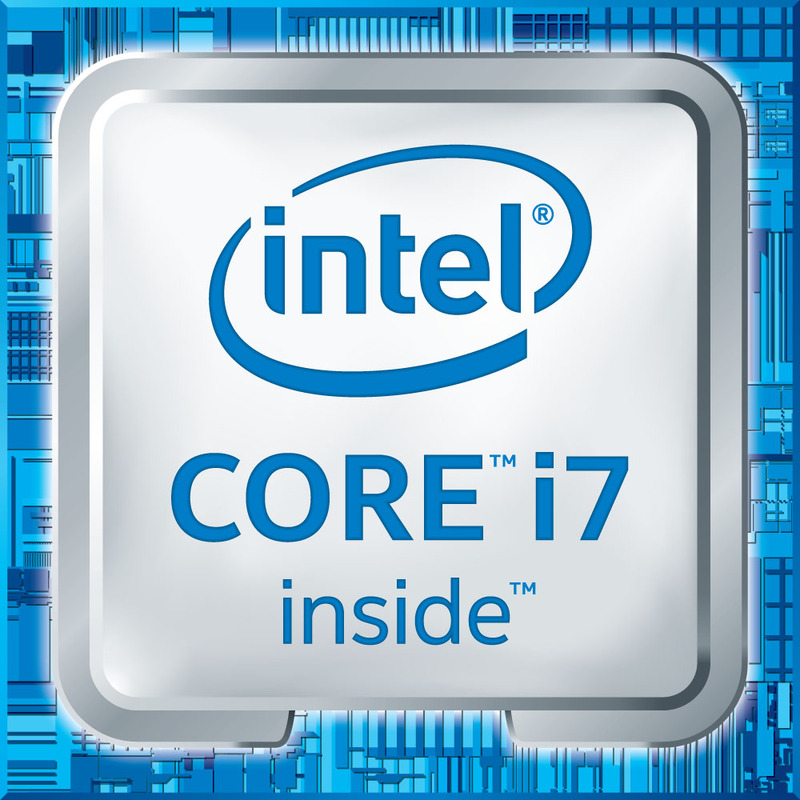 SANTA CLARA, Calif., Sept. 1, 2015 – Today Intel Corporation introduced the 6th Generation Intel® Core™ processor family, the company’s best processors ever. The launch marks a turning point in people’s relationship with computers. The 6th Gen Intel Core processors deliver enhanced performance and new immersive experiences at the lowest power levels ever and also support the broadest range of device designs – from the ultra-mobile compute stick, to 2 in 1s and huge high-definition All-in-One desktops, to new mobile workstations. There are over 500 million computers in use today that are four to five years old or older. They are slow to wake, their batteries don’t last long, and they can’t take advantage of all the new experiences available today. Built on the new Skylake microarchitecture on Intel’s leading 14nm manufacturing process technology, 6th Gen Intel Core processors deliver up to two and a half times better performance3, triple the battery life4, and graphics that are 30 times better5 for seamless and smooth gaming and video experiences versus the average 5-year-old computer. They can also be half as thin and half the weight, have faster wake up time, and battery life that lasts virtually all day6. The new 6th Gen Intel Core processor family enables a broad range of designs to fit virtually every need. Intel® Core™ M processors, which can offer twice the performance of leading premium tablets7, will now include brand levels Intel Core m3, m5 and m7 processors to provide people with more clarity and choice in finding the Intel Core M processor-based device that best meets their specific needs. The Intel® Compute Stick lineup expands to include a version powered by the 6th Gen Intel Core M processor. This new generation of Intel processors also includes several firsts for mobile designs: a mobile “K” SKU that is unlocked to enable overclocking with even more user control, a new quad-core Intel® Core™ i5 processor that offers up to 60 percent improved mobile multitasking8, and the Intel® Xeon® E3 processor family now powering mobile workstations. The 6th Gen Intel Core processors deliver significant improvements in graphics performance9 to offer stunning visuals for gaming as well as compelling 4K content creation and media playback. New Intel® Speed Shift technology improves the responsiveness of mobile systems so people can, for example, apply a photo filter up to 45 percent faster10. In addition, the 6th Gen Intel Core and Intel Xeon platforms will offer a variety of new features and experiences. More devices will feature Thunderbolt™ 3 for USB Type-C, enabling one compact port that does it all. A user-facing or world-facing Intel® RealSense™ Camera will be available on a range of new 6th Gen Intel Core processor-based 2 in 1s, notebooks and All-in-One desktop systems, offering new depth-sensing capabilities and immersive experiences that allow people to do things like take and share lifelike 3-D selfies, scan objects and print in 3-D, and easily remove and change their background during a video chat. The 6th Gen Intel Core processor family helps optimize Windows* 10 features such as Cortana* and Windows Hello* for more seamless and natural interaction with technology. Devices with the Intel RealSense Camera paired with Windows Hello let people securely log in using facial recognition. True Key™ technology by Intel Security is also available on many 6th Gen Intel Core processor-based systems to deliver a secure experience for logging into devices and websites without the need to remember each site’s password. In the coming months, Intel plans to deliver more than 48 processors in the 6th Gen Intel Core processor family, featuring Intel® Iris™ and Iris Pro graphics, as well as Intel Xeon E3-1500M processor family for mobile workstations and 6th Gen Intel® vPro™ processors for business and enterprises. A variety of devices across a wide range of form factors will be available now and over the coming months from manufacturers around the world. In addition, Intel is offering more than 25 products for the Internet of Things (IoT) with up to 7-year long-life supply and error correcting code (ECC) at multiple TDP levels. Retail, medical, industrial, and digital surveillance and security industries will all benefit from the new 6th Gen Intel Core processor improvements and includes IoT designs from the edge to the cloud. Intel, Intel Core, Xeon, RealSense, Iris, and True Key, and the Intel logo are trademarks of Intel Corporation in the United States and other countries. 5 6th Gen Intel Core i5-6200U (43WHr battery size) to a 5 year old PC based on Intel Core i5-520UM (62WHr battery size): 30x better graphics performance (3D Mark Cloud Gate graphics test sub-score). Warning: Altering PC clock or memory frequency and/or voltage may reduce system stability and use life of the system, memory and processor; (ii) cause the processor and other system components to fail; (iii) cause reductions in system performance; (iv) cause additional heat or other damage; and (v) affect system data integrity. Intel assumes no responsibility that the memory, included if used with altered clock frequencies and/or voltages, will be fit for any particular purpose. Check with memory manufacturer for warranty and additional details. SYSmark* 2014 is a benchmark from the BAPCo* consortium that measures the performance of Windows* platforms. SYSmark tests three usage scenarios: Office Productivity, Media Creation and Data/Financial Analysis. SYSmark contains real applications from Independent Software Vendors such as Microsoft* and Adobe*. 3DMark* is a benchmark from Futuremark* that measures DX* 9 / OpenGL* ES 2.0, DX 10 and DX 11 gaming performance. There are four main tests: “Ice Storm” for DX 9 / OpenGL ES 2.0, “Sling Shot” for OpenGL ES 3.0/1, “Cloud Gate” for DX 10, “Sky Diver” for DX11 and “Fire Strike” for DX 11 graphics. SPEC* CPU2006 is a benchmark from the SPEC consortium that measures device performance and throughput using compute intensive application subtests. SPECint*_base2006 measures how fast a device completes a single integer compute task. SPECint*_rate_base2006 measures throughput, or how many integer compute tasks a device can accomplish in a given amount of time. Windows* HD Local Video Playback Component Average Power. Disconnect all USB devices, connect to a local WiFi access point and set the screen brightness to 200 nits (disable DPST, set brightness to 200 nits on a white background and enable DPST). Wait for 10 mins for the OS to completely idle. Launch Tears of Steel (1080p H264 10MBps) video using the Windows metro player. Measure and calculate average power for the duration of the video. Report 3 run median. Intel CRB, Intel® Core™ M-5Y71, PL1=4.5W TDP, 2C4T, Turbo up to 2.9GHz/2.6GHz, Memory: 2x2GB LPDDR3-1600, Storage: Intel SSD, Display Resolution:1920×1080. 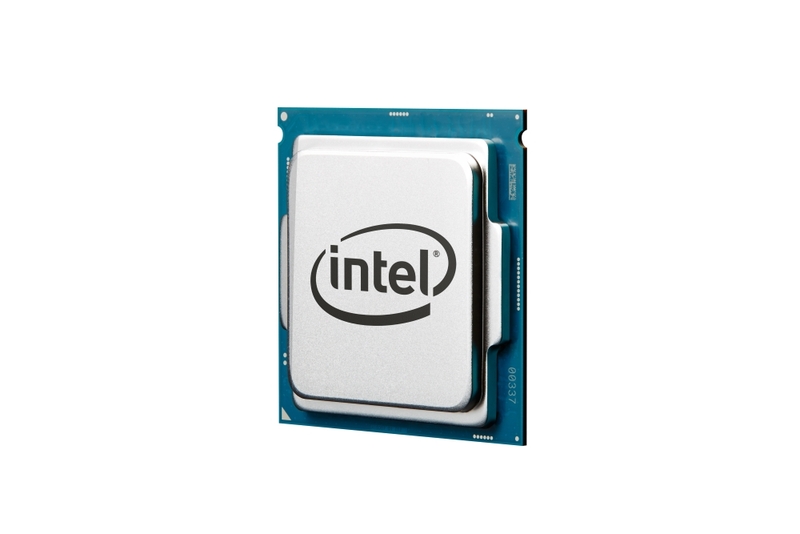 Intel CRB, Intel® Core™ M7-6Y75, PL1=4.5W TDP 1 PL1=4.5W TDP , 2C4T, Turbo up to 3.1GHz/2.9GHz, Memory: 2x2GB LPDDR3-1600, Storage: Intel SSD, Display Resolution:1920×1080. Intel CRB, Intel® Core i7-6920HQ, 45W TDP, 4C8T, Turbo up to 3.8GHz, Memory: 2x4GB DDR4-2133, Storage: Intel SSD 240GB 535 Series, Display Resolution:1920×1200. Intel® Core™ i5-520UM processor (up to 1.86 GHz, 4T/2C, 3M cache) on Acer Aspire One* 1830T-3721:18W thermal design power. BIOS: Insyde v.1.11*, Graphics: Intel HD Graphics (driver v. 8.15.10.2104), Memory: 8 GB (2 x 4 GB) DDR3 1333 Mhz, HDD: Seagate* 500 GB, OS: Windows* 7, Battery size: 62 Wh. Intel CRB, Intel® Core i5-6300HQ, 45W TDP, 4C4T, Turbo up to 3.2GHz, Memory: 2x4GB DDR4-2133, Storage: Intel SSD 240GB 535 Series, Display Resolution:1920×1200. Intel CRB, Intel® Core i5-4300M, 37W TDP, 2C4T, Turbo up to 3.3GHz, Memory: 2x4GB DDR3-1600, Storage: Intel SSD 240GB 535 Series, Display Resolution:1920×1200. Intel CRB, Intel® Core™ i7-4910MQ 47W TDP, 4C8T, Turbo up to 3.9GHz, Memory: 2x4GB DDR3L-1600, Storage: Intel SSD, Display Resolution:1920×1200.